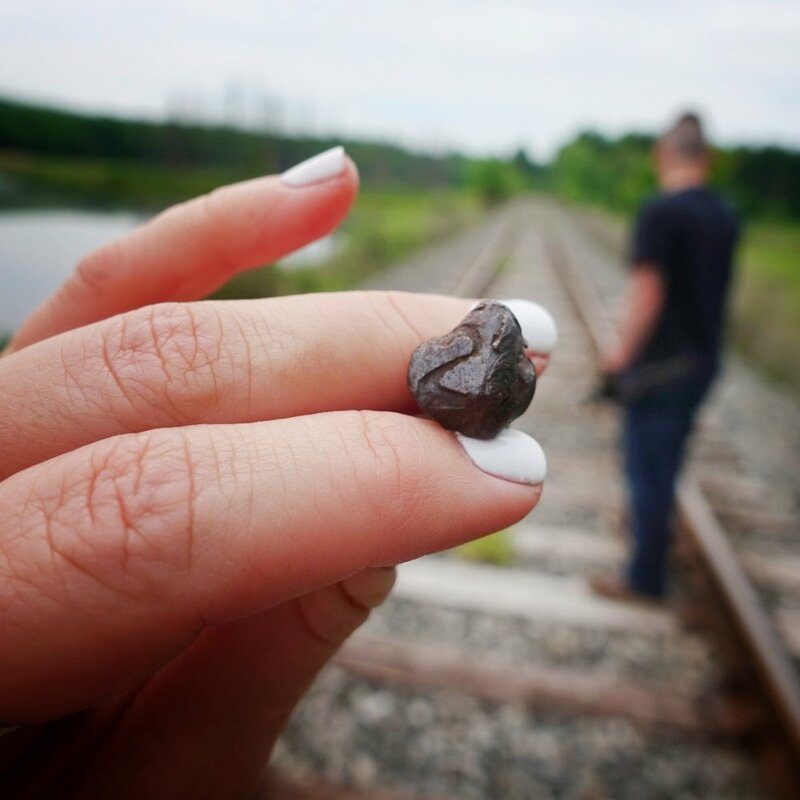 Date nails are used to identify when rail road ties were installed. 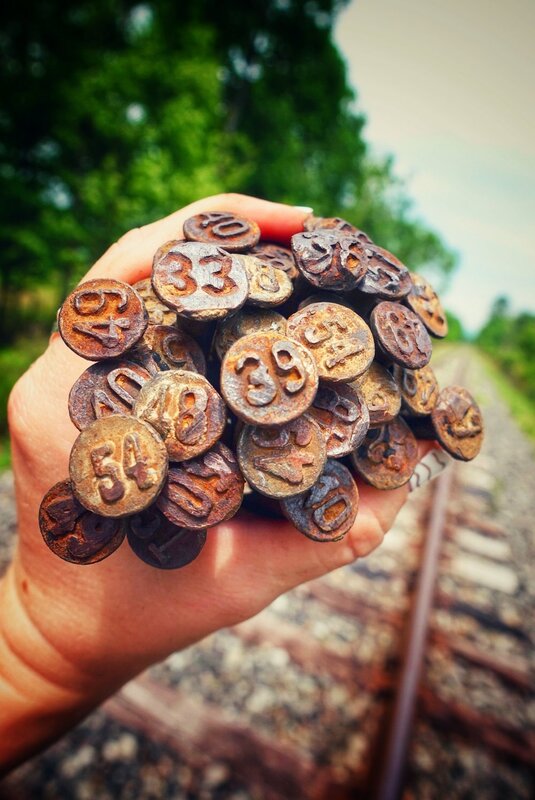 Rail ties were often made of varying wood types and/or treated differently to see what might weather best. The date nails helped the rail road know when a tie was installed and therefore how it was fairing with age. Back then, there was a lot of "trial and error" when it came to wood weathering science so this was the go to method of date keeping at the time. The most recent ones were used all the way until the 60s (at least domestically) and can be found all around the world. Some of the oldest ones can date back to 1859. They come in many shapes and different typography. The ones that we found were always circular and only varied in the way the numbers were applied. 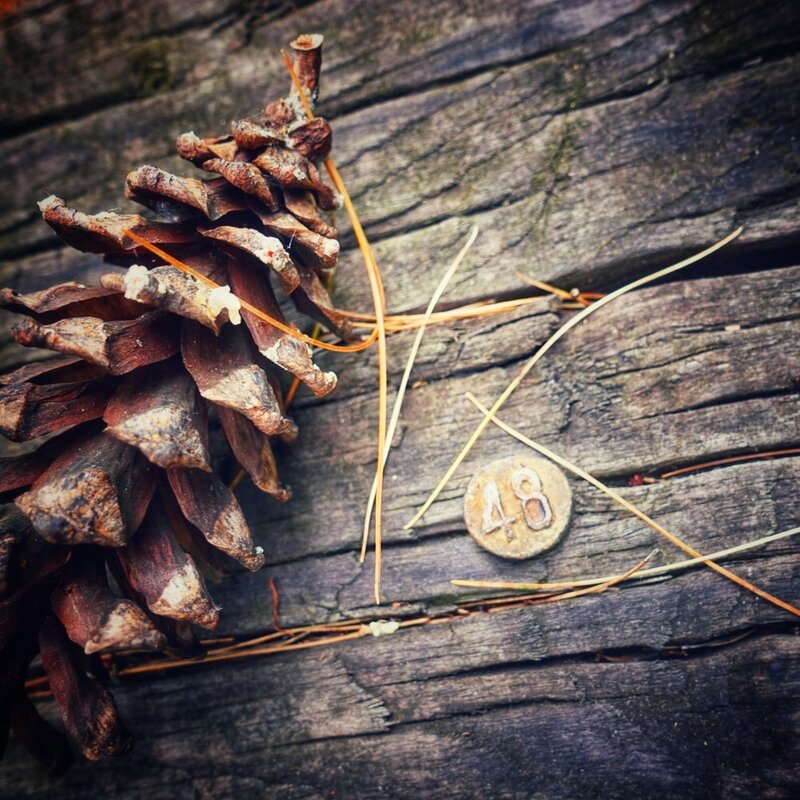 The ones we found that were 1933 and older were indented or had the numbers set into the nail, the nails younger were embossed, or had the numbers raised outward. These nails are often collected, sometimes traded, or even used for jewelry. 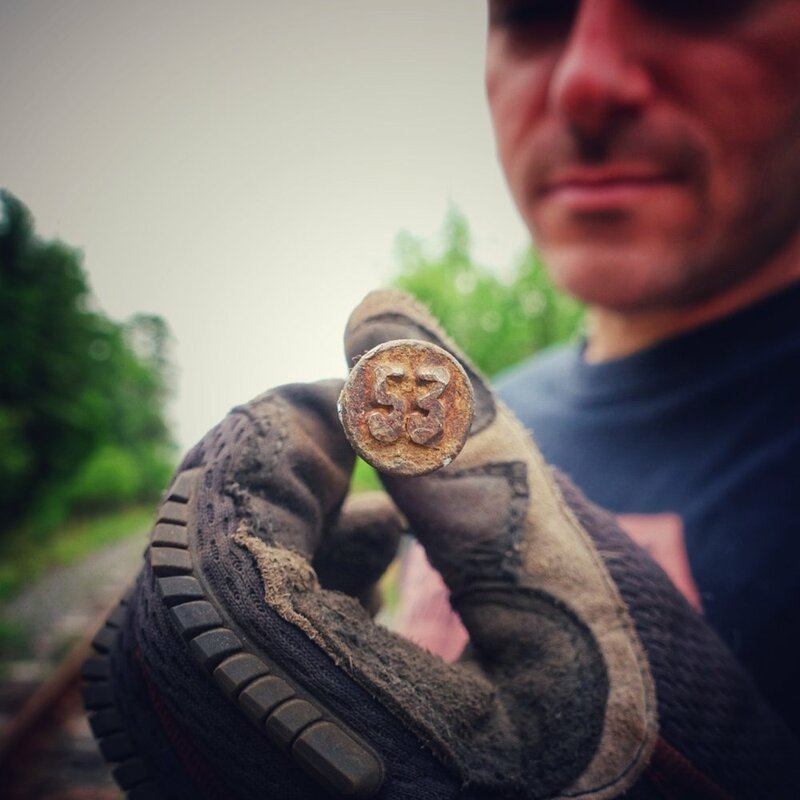 One of our favorite jewelry artists that works with date nails is SouthBoundSmith on instagram and etsy. I loved learning the history and diversity of date nails. If you're like me you'll never be able to walk rail road tracks the same again. Nail hunter is a great resource to show you all the different types of nails that are out there.